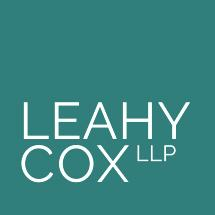 At Leahy Cox, LLP, our goal is to find the most practical and efficient solution to your family law problem. Our attorneys approach every case as unique, examining your situation from many different sides to look for solutions that will speed your resolution with less stress and discord. Our goal is to give you experienced, knowledgeable and affordable representation. We want to find the solution that is best for you at a reasonable price. Whether you and your spouse are arguing over property division or who gets custody of the kids, litigation can get very expensive very quickly and may last a long time. We prefer to approach your case with the attitude that we can work things out between you and your spouse so you are both satisfied with the result and each of you can go on with your respective lives. We know this does not always happen, so we are prepared to aggressively represent you in the Oregon family law court system if that is what is required. You are going through a very stressful time. The physical, emotional and financial strain of a divorce can cloud your judgment and make it difficult to know what is best for yourself and your children. As we are on the outside, looking in, we can take a step back and make suggestions that may help smooth things as we proceed. Our lawyers will always educate you on all of your available options so that you can make informed decisions. We look for ways to bring you and your spouse to an agreement over contentious issues instead of forcing your case to court and letting a judge decide your fate. We keep your best interests in mind. At a time when you may not be able to see the forest for the trees, we are your guides down this twisting path, leading you through to the end where you can see light again.